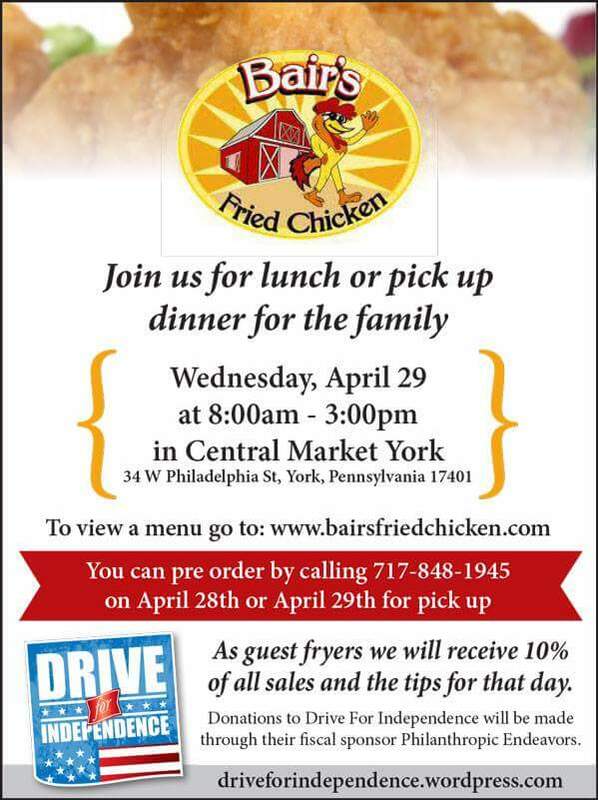 Join us Wednesday April 29th for Drive For independence Guest Fryer Day at Bair’s chicken 8am- 3pm. Tom Bradney, our board vice president will be helping to cook up lunch! Come for lunch, call and pick up lunch, or call in dinner for pick up. On Friday Join us for Mom’s night out pampering First Friday May 1st 5:00-8:3pm at Wash Your Mouth Out Soap Company.